In an American story of enduring importance, Jimmy Carter re-creates his Depression-era boyhood on a Georgia farm, before the civil rights movement that changed it and the country. In what is sure to become a classic, the bestselling author of Living Faith and Sources of Strength writes about the powerful rhythms of countryside and community in a sharecropping economy. Along the way, he offers an unforgettable portrait of his father, a brilliant farmer and strict segregationist who treated black workers with his own brand of "separate" respect and fairness, and his strong-willed and well-read mother, a nurse who cared for all in need -- regardless of their position in the community. Carter describes the five other people who shaped his early life, only two of them white: his eccentric relatives who sometimes caused the boy to examine his heritage with dismay; the boyhood friends with whom he hunted with slingshots and boomerangs and worked the farm, but who could not attend the same school; and the eminent black bishop who refused to come to the Carters' back door but who would stand near his Cadillac in the front yard discussing crops and politics with Jimmy's father. Carter's clean and eloquent prose evokes a time when the cycles of life were predictable and simple and the rules were heartbreaking and complex. In his singular voice and with a novelist's gift for detail, Jimmy Carter creates a sensitive portrait of an era that shaped the nation. An Hour Before Daylight is destined to stand with other timeless works of American literature. If you leave Savannah on the coast and travel on the only U.S. highway that goes almost straight westward across the state of Georgia, you will cross the Ogeechee, Oconee, and Ocmulgee rivers, all of which flow to the south and east and empty into the Atlantic Ocean. After about three hours you'll cross the Flint River, the first stream that runs in a different direction, and eventually its often muddy waters empty into the Gulf of Mexico. Unlike the Continental Divide in the Rocky Mountains, our "divide" is not noticeable, because the land was all part of the relatively flat bottom of the sea in the not-too-distant geological past. It is still rich and productive, thanks to the early ocean sediments and the nutrients it has accumulated from plants and animals since that time. A lovely and haunting piece of work...conveys with quiet passion...its author's love for the place in which he grew up and where, he says, he expects to rest for eternity. 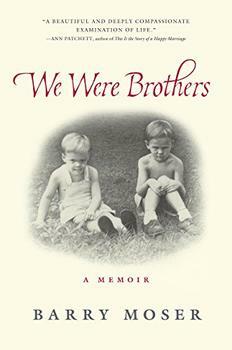 Carter has written more than a dozen books since he left the White House; this vivid recollection of his Georgia childhood will probably be one of his most popular efforts......Carter remains more popular as an ex-president than he was during his term of office, and his experiences are just different enough from those of most readers that his memoir should have broad appeal. In this warm, almost sepia-toned narrative, Carter describes his relationships with his parents and with the five people--only two of whom were white--who most affected his early life. Best of all, however, Carter presents his sweetly nostalgic recollections of a lost America.